More than 500 young people, 4 continents, 60 nations represented, 5 days of negotiations, and one goal: to send a clear message to the leaders of the world that “Young people must help build the future.” ROMUN2015 (the official Model United Nations in Rome) will be held in Rome from the 16th to the 20th of October 2015, hosted by SIOI (Italian Society for International Organization – UN Association of Italy) and the Diplomatic Missions of the United States to Italy and to the UN Agencies in Rome. The goal is simulate a General Assembly of the United Nations seen through the eyes of the younger generation. The participants range from age 16 to 30 and come from over 60 member states of the United Nations, some with complex political situations, such as Afghanistan, Indonesia, Libya, Ukraine, Pakistan and Ethiopia. They are all clear one thing: that “putting up walls don’t resolve the tragedies of the world, we must build more streets and bridges”. They will transmit this message to the leaders of the world also through a group photo shoot, illustrating their collaboration.  Other conference locations will be the Ministry of Foreign Affairs (where the participants will deliver the final resolution to the Secretary general Michele Valensise), SIOI headquarters at Palazzetto Venezia, the Center for American Studies, and the University of Washington Rome center. Evening events will take place at Villa Aurelia – American Academy in Rome and the Italian National Olympic Committee. The final event of this simulation will take place the 20th of October at the Milan Expo 2015 where the young people will promote a flash mob on the themes of feeding the world the environment.